With most teams about to begin signups, we urge you to check with VCYTC track club closest to you (see listing on the right) to get signup info. Some clubs do fill up quickly! Two conferences, 16 clubs & approximately 2000 athletes! Entries only accepted from VCYTC clubs @ EPI SPORTS — START ENTERING YOUR ATHLETES NOW! Meet is open to BANTAMS – MIDGETS – YOUTH – AND INTERMEDIATE (Plus YOUNG for SCYTFC). EPI is now open to accept entries – entries are due by 4/6/2015 @ 7:00PM – dont wait until last minute to get entries in – EPI will shut off and your athletes will not get to run! Intermediates / Young Women & Men: up to 3 individual events or same as above. Strictly enforced (sanction for over-eventing, is DQ for all events participated in). please only create one account for your entire club, no additional coaches accounts or athletes may not be entered into meet. If you need assistance loading your roster into EPI, please contact Erin Sap with VCYTC @ erinsap@gmail.com. Eliminates the need to hand prepare the small event stickers with athlete’s best marks for proper staging. Facilitates fast & easy staging because the bib stickers include meet rankings by event…just line the kids up by their rank number to stage! Replaces athlete data-entry into Meet Manager (Events, Heats and Positions/Lanes) from after the race to before the race in staging which allows results to be posted within minutes (or even seconds) of race completion! Entry can even be done by barcode! Eliminates the need to pull tags at the finish line, so you can reassign your tag-pullers to become Escorts to keep heats organized from staging to their starting point on the track! Finally provides an easy process to create, score and enter Field Event Results sheets with automatically ranked and fair heats. Please RSVP @ mwms727@live.com before February 14 your attendees names and positions. Coffee and pastries served at 8:45 to 9:00. Just a reminder about the LA84 clinic this weekend (http://www.vcytc.org/la84-coaching-clinic-sunday-feb-8th-2015-moorpark-high-school/). Please pass this info to all your coaches and get them registered ASAP! No matter the experience this is beneficial for all, and even parent volunteers. VCYTC would like to see our participation for this event grow each year and we need a few more to attend to make that happen. Even the most seasoned / savvy coaches we have, will learn something. The idea is to learn something outside your core expertise or discipline. As coaches, you are mentors, you may need to instruct others in areas you may not be strong in. This course is designed primarily for youth coaches, but is opened to all interested coaches. The clinic is free. Please register online. Beginning Level Sessions: These sessions are aimed at the very basic level of instruction. The presenters will discuss the rules and regulations of each event and will present the basic first steps a coach will want to follow in teaching the event to beginning athletes. 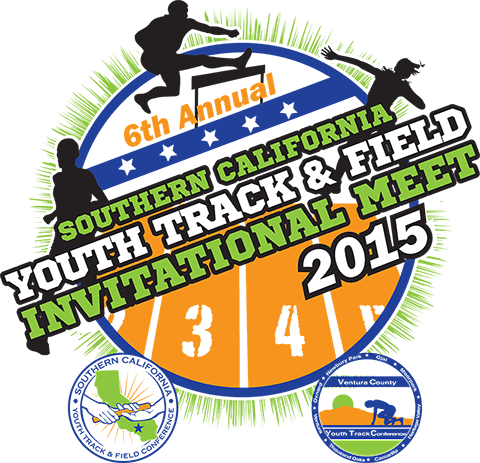 All participants will receive a free CD copy of the 456-page LA84 Foundation Track and Field Coaching Manual. For more information click here to dowload the flyer. Learn from some of the best coaches in track & Field.